Our teachers are assisted by native English teachers, who teach the children at native speaker level. Each group has permanent teachers, while the native speaker teachers work in a “rotation” system, i.e. they work with a different group each week to ensure all group’s language competence. Using English on a daily basis ensures continuous training; children acquire the foreign language during their daily occupations and games almost imperceptibly, as the language surrounds them naturally and becomes a normal part of their days. Over time, children are getting more comfortable in the English-language environment, they learn about Anglo-Saxon customs and holidays parallel to the Hungarian traditions, they sing songs and listen to stories, learn about basic information necessary later for school. Daily English communication with the children will be introduced slowly, building on solid grounds. CAMBRIDGE English Sports Kindergarten is also the preparatory Centre for British Council Cambridge Young Learners English Tests. Our children’s preschool English education applies stages; at the end of Kindergarten (7 years) they are offered to prepare for the Cambridge Young Learners English Tests and take the final exam. Our English language teaching methods – in addition to the existing pedagogy programme – are purpose-based and teaching is performed by our native English teachers. All kindergarten children will be supplied with the appropriate level Cambridge English kindergarten package containing the training material and a CD. Using them at home lets parents follow and guide their children’s English language development. Our native English teachers follow the education method and curriculum of the Cambridge teaching methods. These language tests are the first steps in the series of British Council – Cambridge ESOL language exams designed for children. All three exam levels are made up of three parts: Reading and Use of English/Writing, Listening and Speaking. Each candidate receives a language exam certificate, aimed at the assessment of their knowledge. Tests for young learners are primarily intended to emphasize the strengths of the candidates, not their deficiencies. have an external assessment of the child’s level of English skills. The Management of Cambridge English Sports Kindergarten strives to reach a high level of children’s intellectual development and works according to conditions specified in the pedagogical and educational programme. Our Kindergarten is dedicated to homogeneous groups by strictly following the pedagogical and sports training system, so there are no mixed groups in our kindergarten, children are placed in groups by their ages. Changing groups is possible. Children in the last year are placed in the Pre-School group which emphasises preparation for school based on the preparatory package approved by our kindergarten, with the help of a special education teacher. 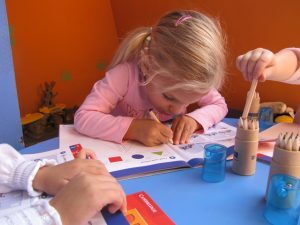 All parents of children in the Pre-School group have close connection with the special education teacher to make a joint decision on the appropriate school for the child. 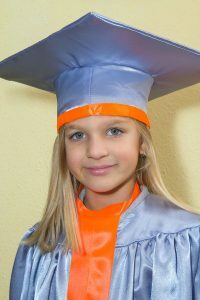 The main goal of CAMBRIDGE English Sports Kindergarten-besides mastering Hungarian as the native language- is to establish English language environment for children at a young age. Our English and Hungarian education resources are based on the expert-approved CAMBRIDGE Pedagogy and Educational Programme, with the curriculum structured into annual, monthly, weekly and daily development; monitored by the management every six-months and annually. Learning English, establishing the grounds for English-Hungarian bilingualism, developing language skills through specific vocabulary and acquiring speech panels is integrated into our educational programme. In this group we use organised game; daily activities provide possibilities for socialisation, play and development in the child’s community. Fine motor skills are developed through craft activities in fun and creative ways in the classroom environment, children sing songs and play music a lot; gross motor skills are developed by sports activities. In this group we use thematically organised game; daily activities provide possibilities for socialisation, play and development in the child’s community. We continue developing fine motor skills with craft activities, and introduce crayon- and pencil craft activities; gross motor skills are developed by lots of physical exercises and moving around. Age appropriate experiences through pretend play, toy cars and monkey bars, puzzles, building blocks, or they can to have a conversation or listen to simple stories. In this group children meet activities preparing them for reading and writing, these activities lead them to learning to read and write. They discover the practical application of written language: they practice identifying meaningful words, and try to write their own names. Exercises for number sense readiness – grouping exercises, counting, matching games – promote basic number skills for math success at school. Children get acquainted with basic math concepts and their problem solving ability improves. Their attention span is growing, they are able to memorize and recognize objects by form, colour and size. Five-year-old children are showing vivid interest in their communities and their environment; their increasingly complex thinking requires the development of their memory and fine motor skills. This high-level program uses an integrated, thematic approach to cover language, math, science, social studies, arts, computer, music, drama and physical education panels. Reading- and writing-preparatory activities are continued: writing letters, numbers, practicing the correct use of pencils. Six-year-old children are active, verbal communication is increasingly accented; they start to be interested in games and game rules, and new concepts and problem-solving skills emerge from these experiences. As a result, activities and experimentation better fit this age, than habitual activities at the table. Great emphasis is placed – involving a speech therapist – on the correct use of languages; primarily on the English language – for native and non-native speakers – as well as on the Hungarian language – for native and non-native speakers. Regular excursions, which focus on education and socialising, are used to learn about Hungarian traditions, history and culture. A separate, but emphasized part of our program is school-preparation training. The Kindergarten provides each child with a set of school-preparation materials (English, mathematics, music, science and society, information technology), we them to prepare our children for school life. The special development program of CAMBRIDGE International Sports Kindergarten is tailored to the individual skills of each child and to their development level. We offer a thorough preparation for five- to seven-year-old children to ensure smooth integration into the desired international, bilingual or Hungarian primary school. The CAMBRIDGE English Sports Kindergarten ensures an outstanding level of education and provides knowledge for entering international schools, schools with English speciality programme or high-level sport schools. swimming and ice skating courses. The Cambridge English Sports Kindergarten is also a member kindergarten of the Hungarian Gymnastics Federation – youth training for their Rhythmic gymnastics and Gymnastics Department continues at our Kindergarten by master trainers with trainer degrees. Our main goal is introducing a love of sports and healthy lifestyle education. The children are trained by master trainers following an annual plan; their training schedule is supplemented by ballet education. In the beginning trainers introduce the basic elements of rhythmic gymnastics and gymnastics, and later the technical elements of the events. It improves endurance, posture, muscles. These two sports are the basis of all other sports, because they provide all the benefits a healthy child needs or may need later. Characteristic movements of the above sports ensure harmonious physical development, correct posture and conscious movements ;they develop the sense of rhythm and coordination skills. They are suitable for basic training of the body, providing an excellent basis for any other sports later. Talented children have the opportunity to participate in performances, at Kindergarten-School Tournaments, at the Budapest regional Student Olympics and later at the National Student Olympics as well. Our primary goals are healthy lifestyle education, early recognition of gifted children and youth training. Rhythmic gymnastics, gymnastics and ballet trainings are atour well-equipped gym. In addition to our basic sports, we also offer swimming and skating to enrich education.